GitHub - Nadrin/Quartz: Physically based Vulkan RTX path tracer with a declarative ES7-like scene description language. Physically based Vulkan RTX path tracer with a declarative ES7-like scene description language. Want to be notified of new releases in Nadrin/Quartz? 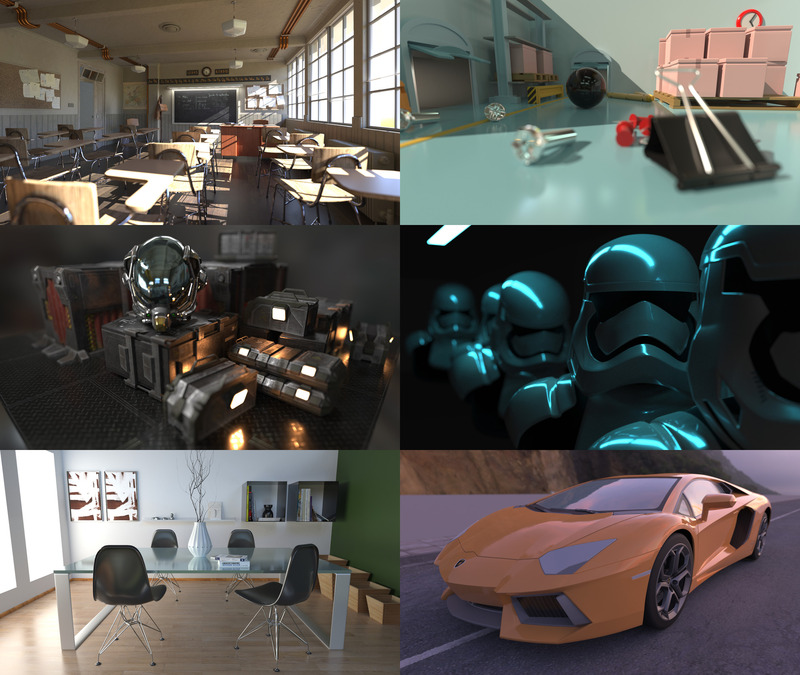 A physically based GPU path tracing renderer with a declarative scene description language based on ES7. Powered by Qt 3D, NVIDIA RTX & Vulkan. At its core is a raytracing aspect for Qt 3D implemented by the Qt3DRaytrace module. It provides both C++ and QML APIs for use in Qt 3D based applications and is a drop-in replacement for Qt3DRender (rasterization-based rendering aspect). While not (yet) on par with Qt3DRender feature set, many Qt3DRaytrace types are named the same and provide similar functionality, thus making the two aspects somewhat analogous. A standalone renderer application that can load and render arbitrary scenes in Qt 3D QML format. It provides live, progressive preview and can save to many LDR and HDR image formats. An "extras" module (Qt3DRaytraceExtras) providing a set of prebuilt elements and various auxiliary utilities. A command-line tool for assisting in conversion of complex 3D scenes to QML-defined hierarchies (scene2qml). This project is still a work in progress. Items without a check mark are planned but not yet implemented at this time. If the opened QML file contains an instance of FirstPersonCameraController the camera can be controlled interactively. Press and hold either left or right mouse button and drag the mouse around to rotate the view. Use the usual W, S, A, and D for movement. Q and E move up and down respectively. Press F2 to save an output image file. Saving to HDR (Radiance) format writes a raw floating-point image in linear space. Saving to any other format writes a tone-mapped, gamma corrected image. QML is a declarative language based on ES7, used by Qt 3D (and thus Quartz) to describe scene hierarchy and all required resources like textures and triangle meshes. Each QML file consists of a root Entity and any number of child nodes, which themselves can also contain child nodes (thus forming a DAG). In most cases a Node is either an Entity or a Component. Entities can contain a number of components (but no more than one component of each type). Examples of components include: Transform, Material, and Mesh. Since Qt has no notion of color spaces, all color values are assumed to be in sRGB by default. To specify linear color use the Qt3DRaytrace.lrgba() function. For symmetry there's also Qt3DRaytrace.srgba() which is equivalent to Qt.rgba(). 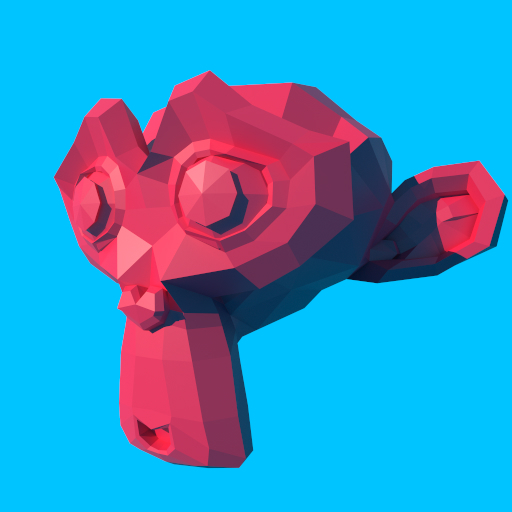 Quartz uses Assimp for importing 3D models and thus supports many common file formats, including: Wavefront (OBJ), Autodesk FBX, Collada (DAE), glTF, and others. Note that Mesh component treats its source file as if containing a single 3D object. Multiple objects are pre-transformed and joined into one during import. To work with complex 3D scenes use the scene2qml tool. It converts an input scene file into QML-defined Entity hierarchy and extracts individual meshes, and textures into separate files. The resulting QML file can then be imported by using the EntityLoader node. Conversion quality depends on the input file format and complexity of a particular scene. The resulting QML file can be further edited by hand to supplement certain information, like some Material attributes. Compile GLSL shaders to SPIR-V by running: src\raytrace\renderers\vulkan\shaders\compile.py. Configure & build the project using the top level CMakeLists.txt file. Note for Linux: Official Qt 5.12 binaries for Linux/X11 seem to have Vulkan support disabled at compile time (QTBUG-72763). If your distribution does not ship Qt 5.12 with Vulkan support enabled you will need to build Qt from sources and make sure that Vulkan support is enabled. Before you run anything make sure that QML2_IMPORT_PATH is configured to look for Quartz QML plugin binaries. On Windows, also make sure that respective directories containing Qt53DRaytrace.dll and Qt53DRaytraceExtras.dll are both in PATH.